Kambaa, our chic lobby lounge is the perfect place to meet and greet or watch the world go by. 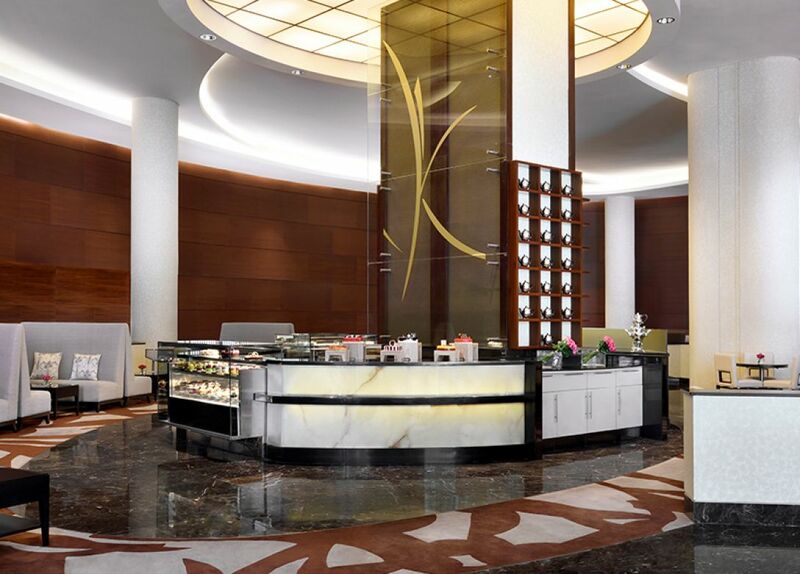 The vibrant lounge offers a delectable menu of elegant afternoon tea, snacks and freshly baked sweets and savouries. Light pastries, warm scones and gourmet sandwiches coupled with the finest selections of teas and exquisite coffees from around the globe, offer the perfect way to relax and re-energize with live entertainment by a pianist. - Offer is applicable on Citibank Credit and Debit Cards only. - Offer is not valid in conjunction with any other promotion or discount programs. - Advance reservation must be made prior to the arrival using hotel's website, by telephone or email. - Citi Credit or Debit Card to be provided at the time of bill payment. - Discount is not applicable on shisha and tobacco purchases. - Discounts are not valid on public holidays and special events (Christmas Eve, Christmas Day, New Year's Eve, New Year's Day, Eid Al Fitr, Eid Al Adha, Valentine's Day, UAE National Day), theme nights, buffets, brunches or Iftar unless specified. - Partner terms and conditions apply. - Citibank terms and conditions apply, are subject to change and are available upon request. - For the current terms and conditions, please visit our website www.citibank.ae. - All offers are made available on a best-effort basis and at the sole discretion of Citibank, N.A. - Citibank, N.A. makes no warranties and assumes no liability or responsibility with respect to the products and services provided by partner(s)/other entity(ies). - By inquiring about our services, offers or products, you will be authorizing our representatives to approach you on your contact details including your telephone/mobile number.